Will Microsoft scrap fees for Xbox Live? Opinion: Or should Sony start charging for PlayStation Network? Will Microsoft ever scrap subs fees for Xbox Live? Following a price promotion on Xbox Live Gold subscription packages through Amazon in the US earlier this month, TechRadar wondered if we might soon see the day when Microsoft decides to scrap fees for its online gaming service altogether? It is an issue that's particularly pertinent to gamers right now, following aggressive PR moves from Sony to discredit Microsoft for charging for its Xbox360 online service. So, what do the games industry analysts, editors and pundits think about all this? "Assuming 51 per cent of the current 17m Xbox Live users pay $49.99 [for a yearly subscription], then gold subscriptions would gross over $430m per annum, of which Microsoft would get to keep at least 50 per cent. It is difficult to see Microsoft sacrificing this dependable revenue stream." However, Gibson did add a word of caution, noting that "as PS3 and Wii's online services become more sophisticated (and remain largely free), it may reconsider this in the long term. Reducing the price is a more realistic option and would result in a higher conversion rate which may well offset the lower revenue per user." Piers Harding-Rolls, Senior Games Analyst over at Screen Digest is largely in agreement, and doesn't expect Microsoft to entirely drop subscription charges for Gold membership any time soon. Harding-Rolls told TechRadar that, at present he was "unaware of any official reduction in the cost of a Gold subscription to Xbox Live". He also added that: "there have been retailer promotions before for pre-paid subscription cards and Microsoft points, so Amazon's move is not necessarily a prelude to a wider drop in RRP for subscription." "Subscription revenue from the service represents a large majority of the more than $1bn Microsoft has generated from the service since its launch and aside from this revenue, which would be hard to relinquish, the current two-tiered membership approach appears to work well - much like the velvet rope approach for online games that are free to access, but then cost a subscription for premium features." Additionally, the Screen Digest man reminds us that, "new Gold features, such as access to Netflix in the US, suggests that the premium subscription offer remains a concrete part of Microsoft's plans moving forward." CVG.co.uk's editor Gavin Ogden is, like us, a big fan of Xbox Live, for the simple reason that "for the price of a game a year you get a great online service populated with plenty of content that's updated regularly." Ogden is also aware that "cost of hosting all this content and maintaining the infrastructure of XBL must be absolutely huge to Microsoft, so they'll be keen to reap some kind of reward." Could Sony charge for PSN? The CVG editor turns our original question on its head, asking: "With this in mind, you've got to wonder how long Sony is prepared to foot the bill for the PlayStation Network?" "Aside from the differences in functionality and sophistication between Xbox Live and PSN, and their cost implications, Sony's strategic approach has historically been fairly different to Microsoft's in being less prescriptive about how its publisher partners use the PSN," argues Nick Gibson, in defence of Sony's free-for-all strategy. "To a great degree, this flexibility has reduced the financial burden of running the service for Sony. Despite new services and features being rolled out on PSN and PSN's growing user base, I cannot see Sony levying an Xbox Live Gold-style annual charge. Firstly, [because] its PSN revenues from PDLC and microtransactions are growing very rapidly, and secondly, it will want to continue using free network gaming as a competitive advantage over Microsoft." So there we go. 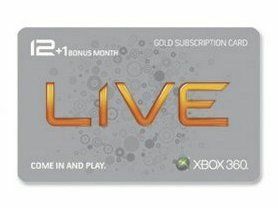 It's unlikely that Microsoft will slash its Xbox Live fees by much (if anything at all) over the next year. The Redmond giant will only need to make changes to its online gaming strategy when Sony and Nintendo's online services are seen by the majority of gamers to be a threat to the value proposition of Xbox Live.